I’ve been noticing, with some amusement, the complicated instructions posted by other tech sites on how to create a desktop shortcut to Windows Updates in Windows 8.1. Although their method will ultimately work okay, it is unnecessarily convoluted, involving numerous steps to get to the desired result. 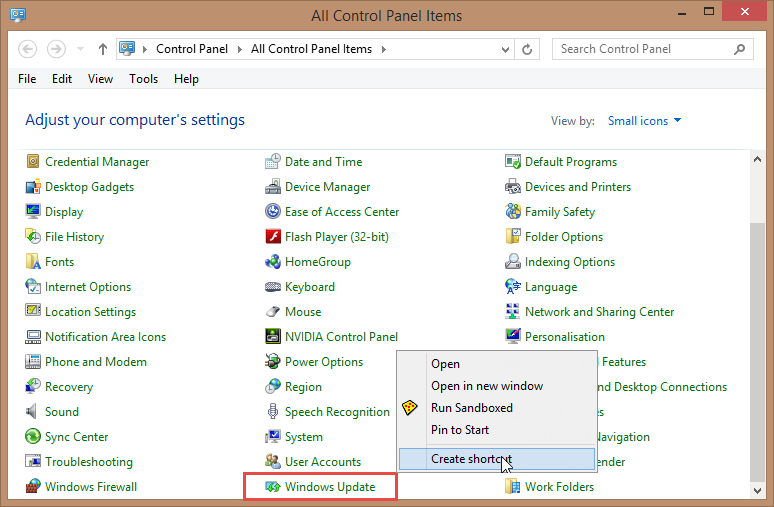 Accessing Windows Update in Windows 8.1 is not an overly complicated process anyway; just type “Windows Update” while in the Start Screen and a list of options will be presented for you to choose from, including the main Windows Update app. However, if you’re anything like me, you’ll appreciate an even quicker way via desktop shortcut. 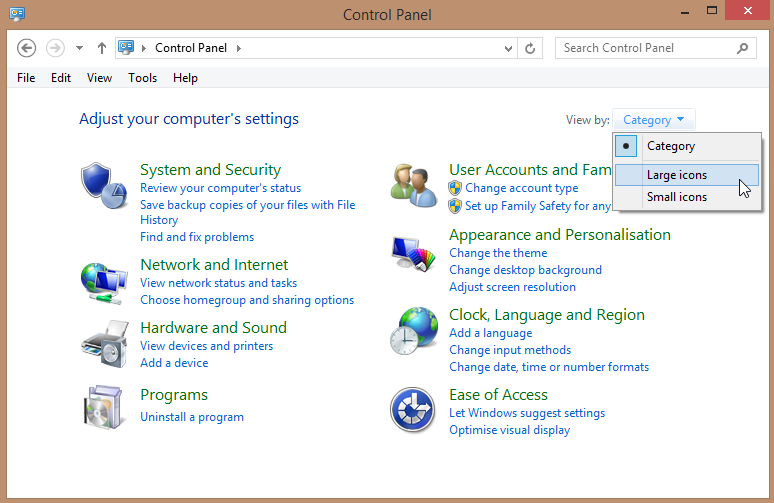 Go to Control Panel – the simplest way to do that, if you haven’t created a shortcut, is to right click on the Start button or simultaneously press the Windows + X keys to bring up the ‘Quick Access’ menu, then click Control Panel. Access the “View by” drop down menu and select one of the “icons” options. As you can see from the above screenshot, you also have an option to ‘Pin to Start” which will place a shortcut (tile) on the Start Screen. I admit, I’d actually forgotten about that one. Many thanks to Dandl and Robert for reminding me.